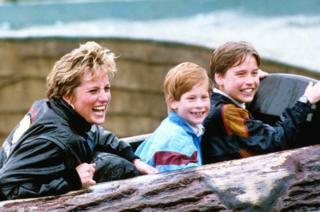 On the 20th anniversary of her death, here is a look back at Princess Diana's life as seen through the camera lens. 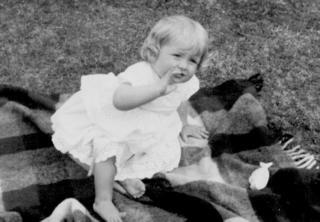 Image caption Diana Frances Spencer was born on 1 July 1961 at Park House near Sandringham, Norfolk. 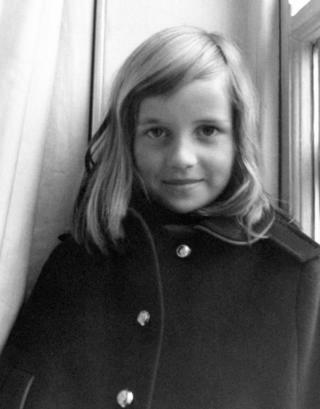 She was the youngest daughter of the then Viscount and Viscountess Althorp. Image caption After her parents' divorce, she often had to travel between their homes in Northamptonshire and Scotland. 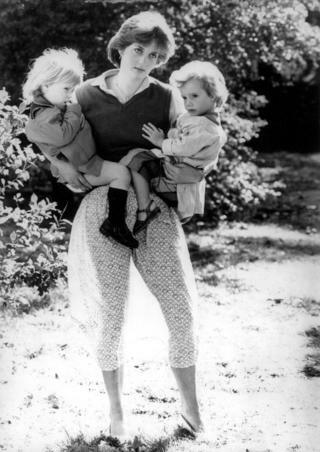 Image caption After school, she worked in London, first as a nanny, occasionally a cook, and then as an assistant at the Young England Kindergarten in Knightsbridge. Image caption Rumours spread that her friendship with the Prince of Wales was blossoming into something more serious. Press and television surrounded her at every turn and her days at work were numbered. The Palace tried in vain to play down the speculation. 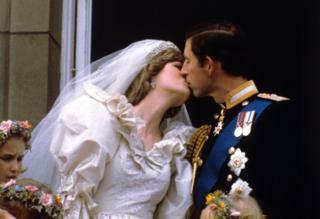 Image caption On 24 February 1981 the engagement became official. The ring cost almost £30,000 and contained a sapphire surrounded by 14 diamonds. Image caption Lady Diana walked down the aisle with her father, Earl Spencer, at St Paul's Cathedral on 29 July 1981. 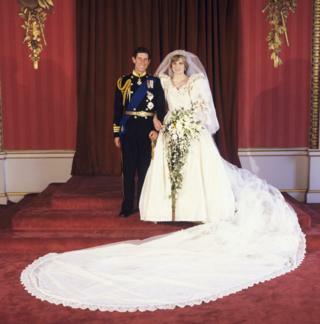 Her dress, designed by David and Elizabeth Emanuel, had a 25ft (10m) train and was made of ivory taffeta and antique lace. Image caption Diana was just 20. Under the watchful eyes of her mother and on the arm of her father, Diana prepared to take her wedding vows. She showed nerves only once, when she struggled to recall her husband's names in the right order. Image caption Millions of television viewers around the world were dazzled by the event, with a further 600,000 lining the route from Buckingham Palace to the Cathedral. Image caption Charles and Diana spent their honeymoon on the Royal Yacht Britannia for a 12-day cruise through the Mediterranean to Egypt - and then stayed at Balmoral Castle. Image caption Diana had always longed for a big family. Within a year of her marriage, on 21 June 1982, she gave birth to a son, Prince William, who is second in line to the throne. 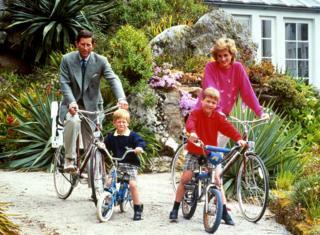 Image caption She believed in giving her children as normal an upbringing as royal circumstances would allow. William became the first male heir to go to nursery. The boys were not educated by private teachers, but went to school with other children. 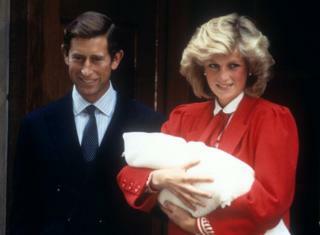 Image caption In 1984, on 15 September, William had a brother. He was christened Henry, though he is known as Prince Harry. Image caption The princess quickly became involved in the official duties of the Royal Family. Soon, she was on a constant round of visits to nurseries, schools and hospitals. She showed a spontaneity and ability to connect with people which endeared her to the public. 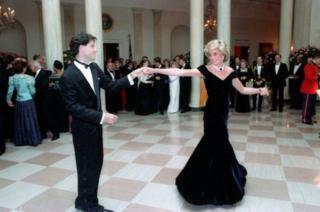 Image caption On her first official visit to the United States, the princess shared a dance with John Travolta at the White House. From the time of her appearance on her first public engagement with her then husband-to-be, Diana's wardrobe became a focus of attention. Image caption The princess's charity work strengthened her popularity with the public. She played an important role in publicising the plight of people with Aids. Her speeches on the subject were forthright and she did away with many prejudices. Simple gestures like shaking hands with Aids patients proved to the public that social contact was risk-free. 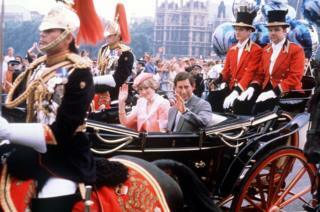 Image caption The Prince and Princess of Wales carried out many engagements together and went on overseas tours. However, by the late 1980s their separate lives had become public knowledge. 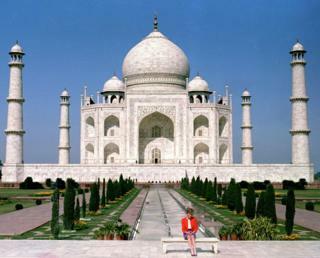 Image caption On an official visit to India in 1992, Diana sat alone outside the Taj Mahal, the great monument to love. It was a graphic public declaration that although the couple were formally together, they were in fact apart. 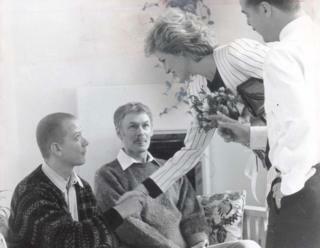 Image caption Diana remained a doting mother to her two sons. Prince Harry has said that Diana was "one of the naughtiest parents", before adding: "She smothered us with love, that's for sure." 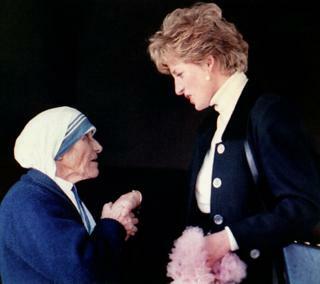 Image caption Diana retained a close friendship with Mother Teresa throughout her life, as seen on this visit to a convent in Rome. The pair died within six days of each other. 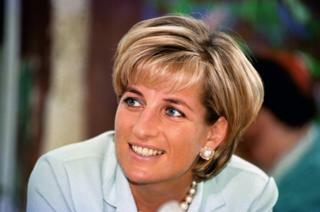 Image caption Diana gave a remarkably open interview to Martin Bashir and the BBC on 20 November 1995. Watched by millions, she described her post-natal depression, the breakdown of her marriage to Prince Charles and her tense relationship with the Royal Family as a whole. Image caption Throughout these troubles, the princess continued her charitable work. She visited Jemima Khan in Lahore, Pakistan, to support the cancer hospital run by Imran Khan, Jemima's then husband. Image caption Diana and Charles's divorce was finalised on 28 August 1996 and she officially became known as Diana, Princess of Wales. In June of the next year she auctioned off 79 dresses that had appeared on front covers of magazines around the world. The auction raised £3.5m ($4.5m) for charity and also seemed to symbolise a break with the past. Image caption On 31 August 1997, after dining at the Ritz Paris with Dodi Al Fayed, the son of millionaire businessman Mohamed Al Fayed, the pair left the restaurant in a limousine. They were pursued by photographers on motorbikes who wanted more snapshots of the princess's new friend. The chase led to tragedy in an underpass. Image caption More than one million people lined the route of the funeral cortege to Westminster Abbey and along her final journey to the Spencer family home in Northamptonshire. 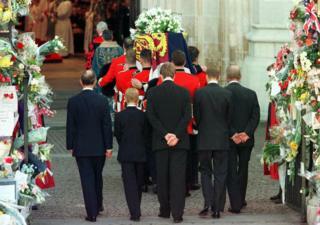 Her sons, William and Harry, were joined by Prince Charles, the Duke of Edinburgh and her brother Earl Spencer.